If you are left-handed and you share a computer at work, home, or school, it can be frustrating to always have to go into the Control Panel to switch mouse buttons when you start working on the computer and again when you are finished. There are also those of us different people who are right-handed, but who use the other mouse button. We have previously written about a tool that allows you to quickly swap mouse buttons with a single click (see our post, Quickly Swap Mouse Buttons from Left to Right). We found another free tool, called SwapMouseButtons that allows you quickly swap mouse buttons using a single key or a key combination on your keyboard. To install SwapMouseButtons, double-click on the .exe file you downloaded. 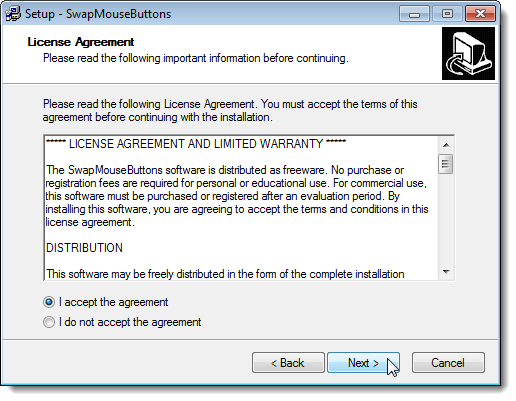 A dialog box displays asking if you want to continue with the installation of SwapMouseButtons. Click Yes. The Select Destination Directory screen displays. 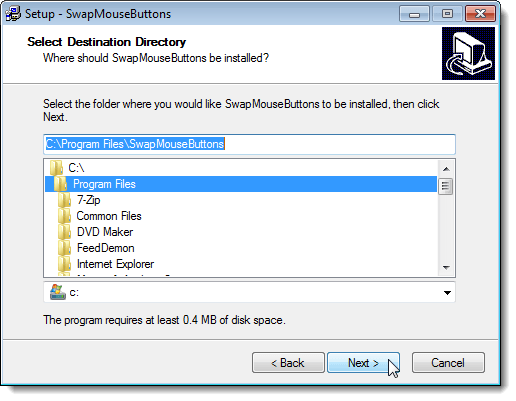 If you want to install SwapMouseButtons to a different location other than the default location listed in the edit box, navigate to another location in the tree below the edit box containing the current installation path. Use the drop-down list below the tree to select a different hard drive, if desired. We accepted the default location. Click Next to continue. The Select Start Menu Folder screen displays. 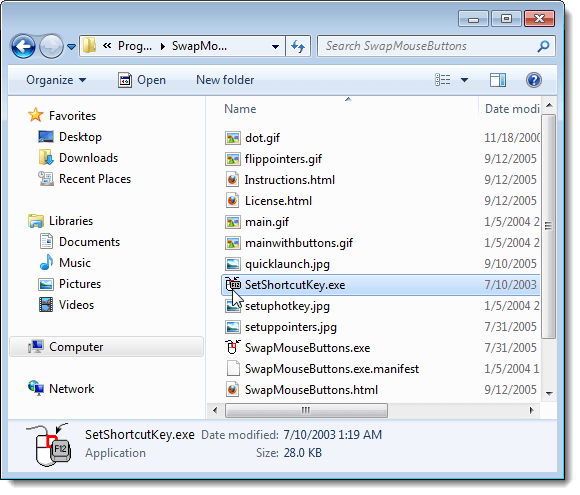 If you want to add the shortcuts for SwapMouseButtons to a different Start menu folder than the default listed in the edit box, select a different folder from the list below the edit box. You can also enter a custom directory by typing the path in the edit box. Be sure you use backslashes to indicate sub-folders. We accepted the default Start menu folder. Click Next to continue. 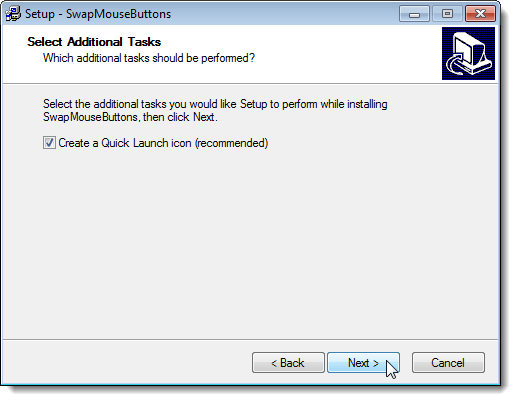 On the Select Additional Tasks screen, you can select the Create a Quick Launch icon check box to add SwapMouseButtons to the Quick Launch Toolbar. This option is selected by default. Click Next. 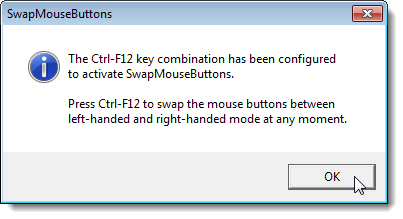 A dialog box displays telling you that the Ctrl + F12 key combination has been set to activate SwapMouseButtons. 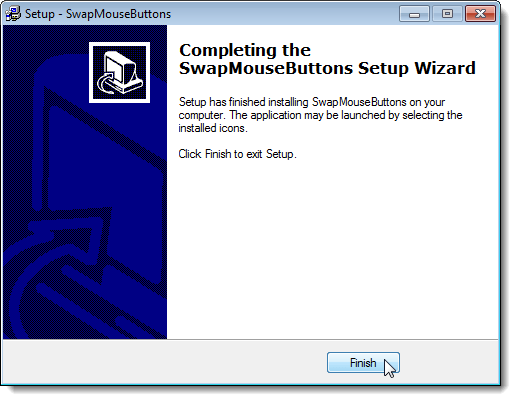 Click OK.
Once the installation is done, the Completing the SwapMouseButtons Setup Wizard screen displays. Click Finish to close the Setup Wizard. When you press Ctrl + F12, a small window displays in the middle of the Windows desktop. The mouse button to which you are switching blinks on the mouse icon, indicating which mouse button you are now using. The window goes away on its own. There are some options you can set in SwapMouseButtons. To access the options for SwapMouseButtons, press Ctrl + F12 to display the small window. When it displays, quickly click on it. Two buttons are added to the window. Click the Options button to access the settings for SwapMouseButtons. The Hot Key tab on the SwapMouseButtons Options dialog box displays. The Hot key edit box is active by default. To change the hot key, press the single key or key combination. 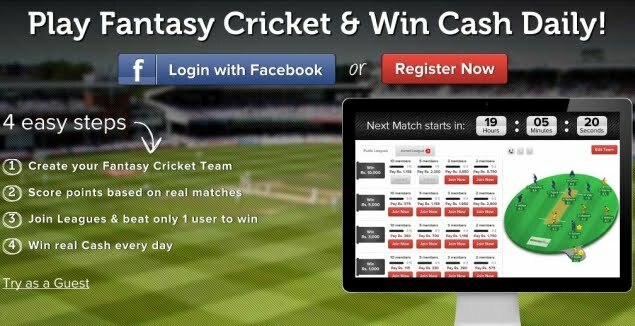 The corresponding keys are automatically entered into the Hot key edit box. Click Set Hot Key. You must log out or restart Windows for the new hot key to be active. This can also be accomplished by restarting the explorer.exe process. See Restart the Explorer.exe Process Correctly in Windows or Restart the Explorer.exe Process Correctly in Windows the Quick and Easy Way for easy ways to do this. NOTE: When you choose a hot key, you should try to select a key combination that is not used much for other programs, such as Ctrl + F11 or the default Ctrl + 12. This avoids conflicts with other programs. In older versions of Windows, such as Windows 98, you can assign a hot key without using the Ctrl key. You may have noticed that when you swap mouse buttons, the pointer also flipped to point in the opposite direction. 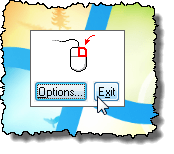 You can choose not to have the mouse pointer flipped when you swap mouse buttons. 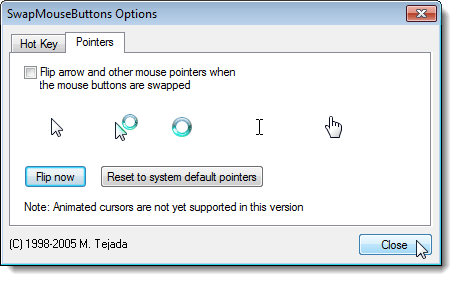 To do this, click the Pointers tab on the SwapMouseButtons Options dialog box. Select the Flip arrow and other mouse pointers when the mouse buttons are swapped check box so there is no check mark in the box. NOTE: This will not flip your mouse pointer automatically. It must be flipped manually. 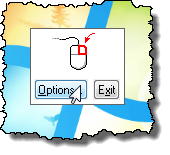 To flip the mouse pointer manually, click Flip now. Your mouse pointer should immediately flip. 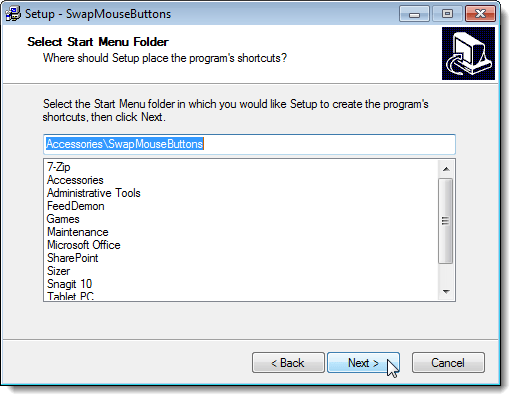 Click Close to close the SwapMouseButtons Options dialog box. 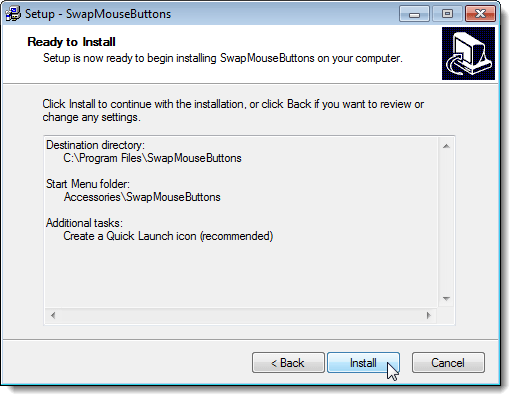 When you close the SwapMouseButtons Options dialog box, you will notice that the SwapMouseButtons small window still displays. To close it, click Exit. 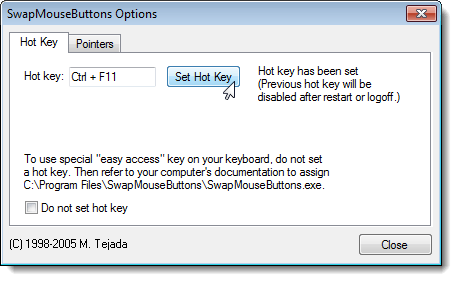 There is an easy way to set the hot key back to the default key combination of Ctrl + F12. 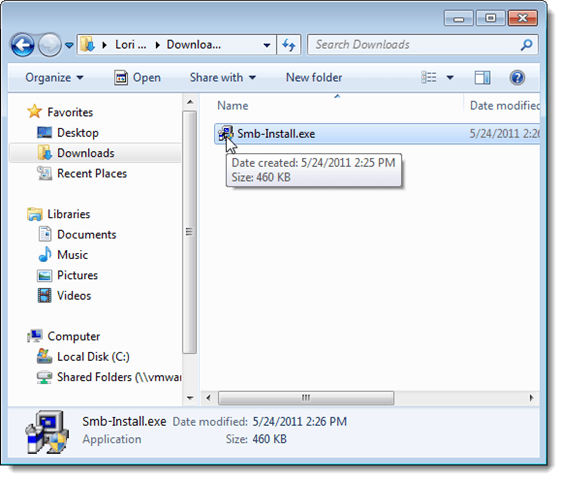 In Windows Explorer, navigate to the directory in which you installed SwapMouseButtons. By default this directory is C:\Program Files\SwapMouseButtons. Double-click on the SetShortcutKey.exe file. A dialog box displays telling you that Ctrl + F12 has been set as the key combination. 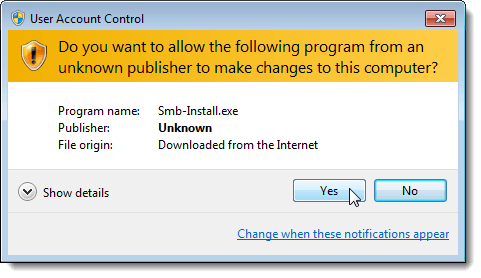 This is the same dialog box that displayed after SwapMouseButtons was installed. SwapMouseButtons is a very useful tool if you share a computer and must switch mouse buttons often. It’s too bad that the tool is not portable, although that fact does not take away from its usefulness.